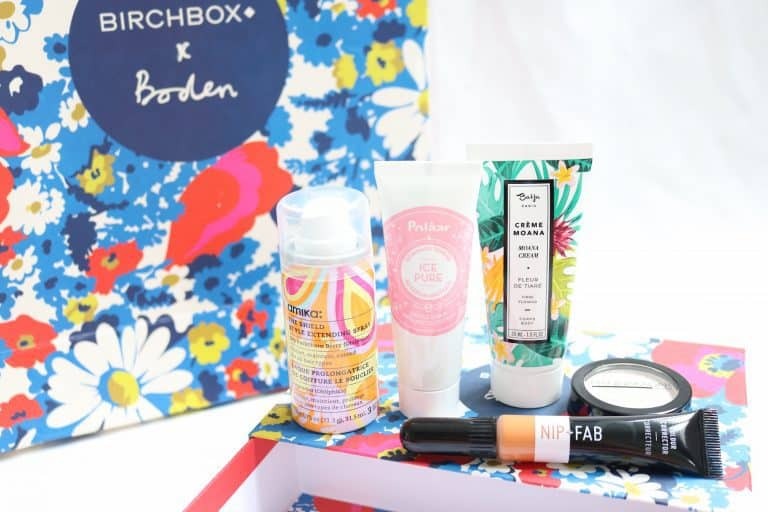 This month’s Birchbox saw a collaboration with the iconic British fashion brand Boden. With a fabulous, colourful floral box to match some of their key prints of this season, you instantly knew this box was going to be a good’un! The theme of the box was more than just a collaboration, though – the box encourages you to be bold and beautiful, using the products to be true to yourself and your style, but not being afraid to take risks! 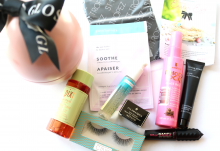 …on to the products! 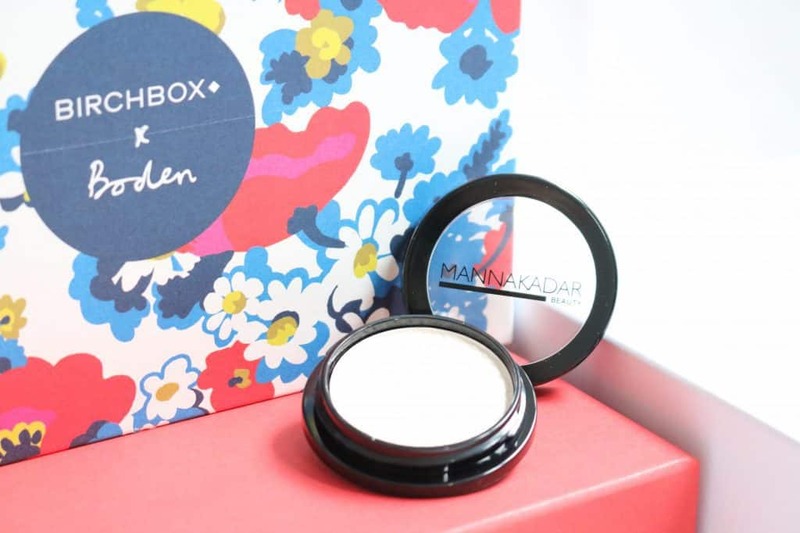 My favourite product of this month’s Birchbox was definitely the Manna Kadar Cosmetics High Definition Powder. This setting powder is very pale, but creates a beautiful matte finish. I’ve been using it under my eyes, to set my concealer, and on my cheekbones to tone down my highlighter if I over-do it a tad. It really helps keep my makeup on longer, and I just adore the finish. I like it so much, that I’ve actually been using it every single day! I’ve used so much I’ve gone down to the metal pan…. I’m going to be heartbroken when it has run out! 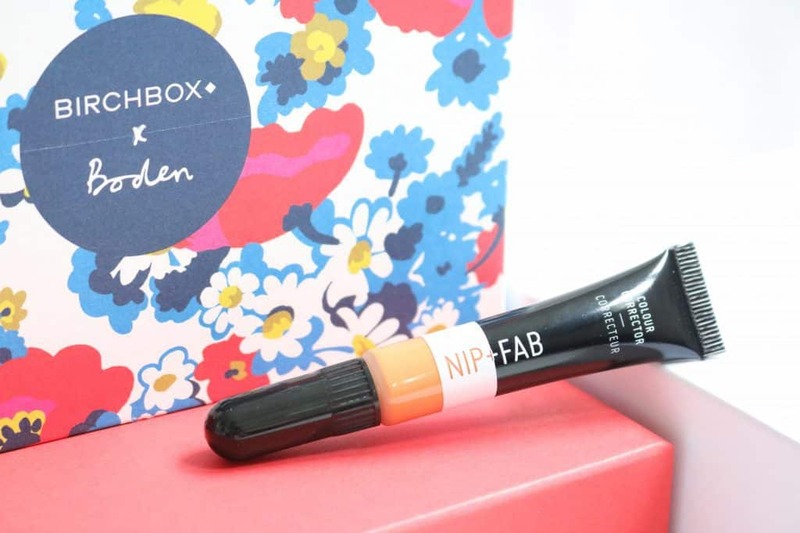 The second makeup product in this month’s box was another good’un – the Nip+Fab Colour Correcting Concealer in orange. I’m still rather new to colour correcting, but I enjoy the results when I do experiment and get it right. This orange shade is perfect to brighten dark circles – I’ve been using it under my eyes, then applying a concealer which is slightly lighter than my skin tone, and finishing with the Manna Kadar Cosmetics High Definition Powder above. The finish is flawless – it completely hides my deep purple circles from lack of sleep! I love the texture and consistency of the concealer too – it’s creamy, and a little blob goes a long way! 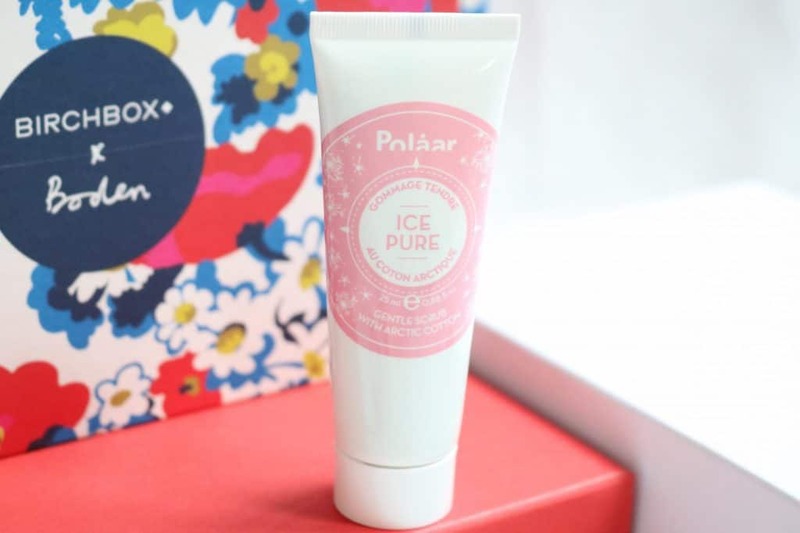 So… that’s two products that I’ve fallen a little bit in love with, and I’m glad that the Polaar IcePure Gentle Scrub with Arctic Cotton was also no let down! This exfoliator is extremely gentle on the skin with only very small gritty exfoliating bits, but provides amazing results – my skin is left so smooth and soft. You don’t need to scrub your skin to death to remove the top layer of dead skin cells, meaning rather than being left red raw like some exfoliators can do, you’re left with healthy, glowing skin. 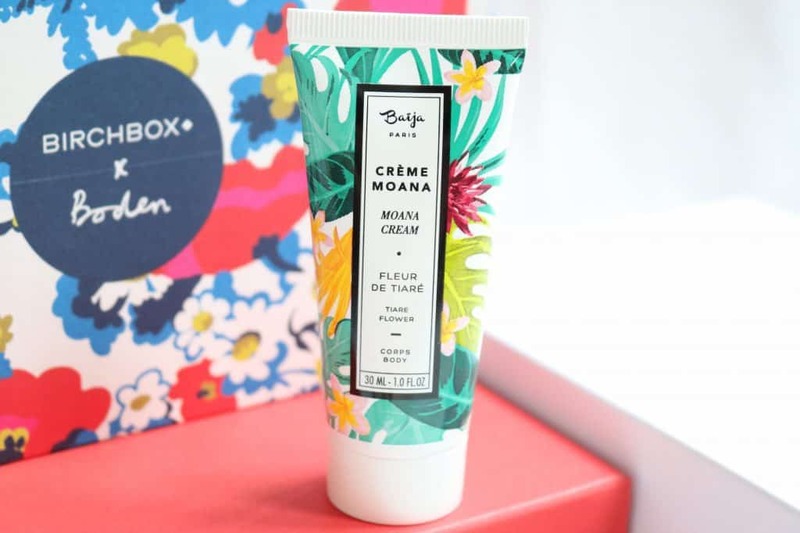 The bodycare in this month’s Birchbox was the Baïja Paris Crème Moana in Fleur de Tiarè. This body lotion is packed full of good ingredients for your skin – shea and cupuaçu butters, coconut oil, jojoba wax and more. You only need a small amount of the body creme to massage into your skin to leave you with silky smooth legs. Any rough patches (elbows included!) are instantly rectified. Any product which promises to look after my hair is normally a good shout for me – I’m a little bit obsessed with looking after my hair after a bad experience with a home bleach dip dye job (sixteen year old me was pretty stupid!). The amika Shield Style Extending Spray promises to protect hair from UV rays, heat, pollution and frizz, to help it look beautiful for a full 24 hours after using it. Sun damage is being more and more publicised recently – I’ve seen so many skincare and makeup products boasting of their UV protection, but it seems less common on hair products. You simply need to spritz this mist all over your towel dried hair before blow drying, and you know you’re precious little hairs are safe to go…. beach, anyone?! 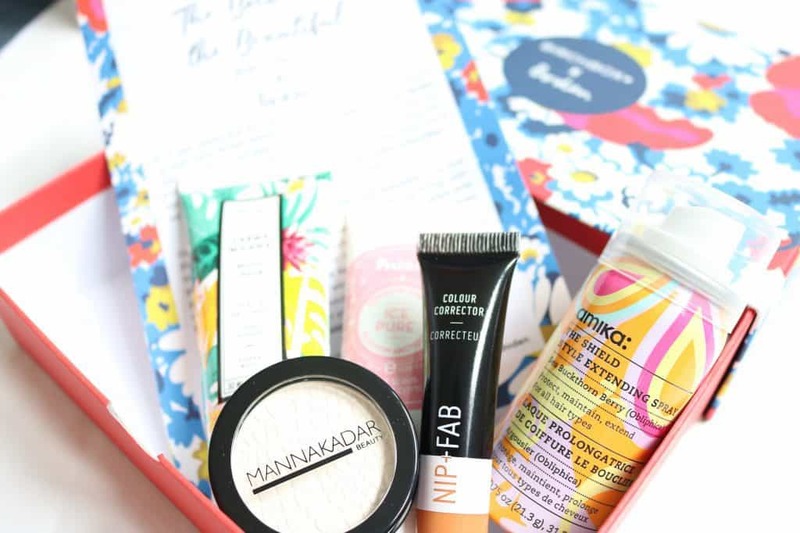 This month's Birchbox was one of my favourites in a while - I've fallen in love with nearly all of the individual products and readily incorporated them all into my daily routine. 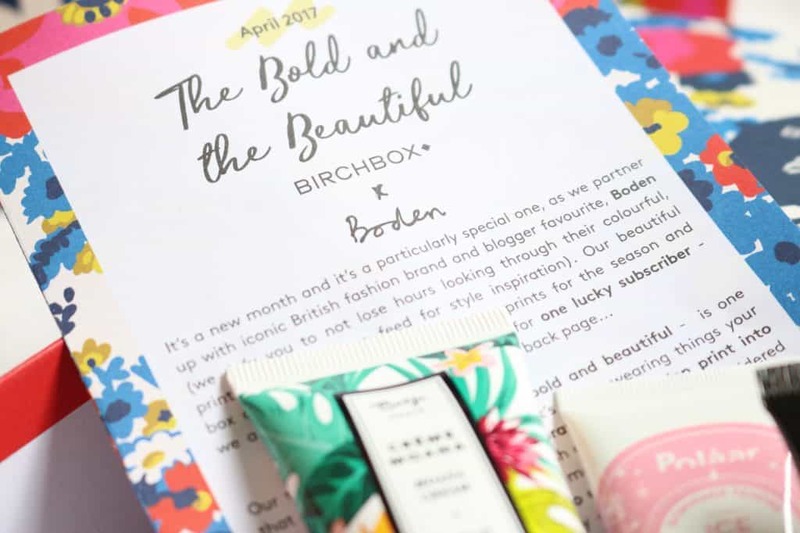 With the beautiful floral box, this month's collaboration with Boden was definitely a great choice!